It’s kind of counter-cultural, so it might sound a little off-putting at first, but hear me out: I have a child with some neurological disorders, and I’m okay with labeling her. Yikes. It does sound strange, when I read it back to myself. Can I explain what I mean by that? I think it’s all in the way we define the word “label.” To most people, when they think of labeling someone with a disability, they equate labeling with limitations. Maybe they are afraid of the discrimination their child may face, and unfortunately, that is a valid fear in the world we live in. I get it: the moment when you hear what’s wrong with your child from a doctor–the moment that they attach a name to it–it’s scary. Your whole world shifts from what you once knew, to the concrete reality that things are going to be different. I still remember being in the neurologist’s office. 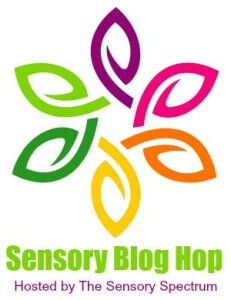 The labels that shook our world were “Sensory Processing Disorder” and “Encephalopathy”. ADHD was thrown around as something we would probably need a diagnosis for down the road. Of course, the doctor kept talking (as doctors do), but I didn’t really hear anything else after that. We walked out to the car with our daughter, and I had a short little cry. Of course, I had suspected something was wrong, but knowing it for a fact made everything feel so…raw. Then I realized something, and it literally stopped me, mid-cry. I was no longer worried, stressed, sad, or confused. I had a new feeling, and it was foreign to me. For the first time since my child was born and I started suspecting something was wrong, I had hope. Not just hope, but comfort and answers. Was this okay? Was it okay to be comforted by the fact that my child was just labeled? I mean, I was finding hope in learning that something was wrong with my child. Did that make me a selfish parent somehow, or maybe crazy? The truth is, I had been groping around in the dark for the first year and a half of my daughter’s life, trying to help her, but failing so often. I was failing because I didn’t know what was wrong. Suddenly, with the proclamation of her “labels,” I had answers. There was a clear path to follow. I had therapists who were going to come into my life and help me. I had books I could read about her labels, and I could find specific answers. So how do I define labels? I believe labels are helpful tools that guide us as parents, caregivers, and teachers to help our children in their unique circumstances. Labels are not a reason to give up or be afraid. They are the courage we need to move forward. Are there limitations that come along with these labels? Sometimes. Do they dictate what we try to accomplish in life? No. They might dictate how we try, but we will never stop trying. This is how I have made my peace with the labeling. You are never going to hear me suggest that you introduce your child by saying “This is my daughter/son so-and-so and she has *insert disability here*,” because that is certainly not the most important part of your child. Not by a long shot. But when we share their labels in the process of advocating for them, we teach our kids that there is nothing to be ashamed of, and we teach them how to advocate for themselves. 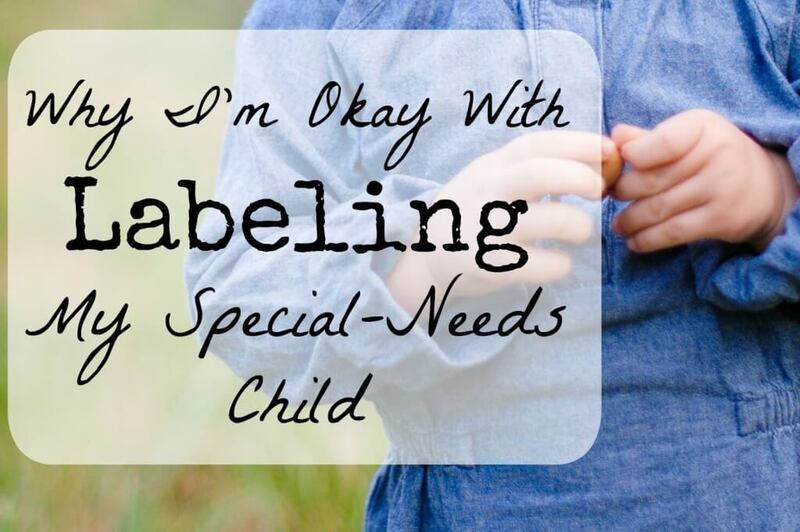 The reality is this: for many of us, our child’s labels are something we have to live with. We can be discouraged and use them as an excuse to stop trying, or we can use them to our advantage. I choose to let those labels define my course of action, and not define my child. I am with you on this! I have seen many parents in the school setting who do not want their child labeled, and I think there are many reasons for this. However, label or not, the child will have the neurological difference nonetheless. In my mind, it’s better to define it so that everyone working with the child can understand and also to put appropriate services in place. It’s important, as you mentioned, not to let the label define the child, but ignoring the problem is not the answer either. Excellent post! You are so right, Jessica! Teachers and schools can’t help if they don’t know what’s going on! Such a balanced approach. Everybody is going to make theor own best choices but I am with you on this one. I am with you too! I couldn’t understand what was wrong with my Son right from infancy stage. I was at loss and felt like a total failed mom who couldn’t stop the baby from crying, couldn’t stop him from fiddling with saliva on the floor or rubbing his feet all over the wall. Having the ‘label’, I start to experience Somme successes in handling my Son during a meltdown, how to connect positively with him and also got a couple of good reads on how to teach him and prep him for primary school. Thank you for sharing that it is really alright to have them labelled, not for discrimination but for the right interventions and means of interactions! You are so right! I’m glad you experienced success and used the label to you and your child’s benefit! I am totally with you on this. I don’t have children but this happened to me when I was finally diagnosed with anxiety. I knew why I was having difficulty, and I knew the path to getting better. And I was able to say “It’s okay you feel this way. You’re not being awful or overreacting, you’re just having a bad day and we know how to manage that.” It takes a lot of the stress off. That is very true! I’ve done that for myself as well. Diagnosis and learning how to cope help me feel more sane!! !